Managers, directors, senior and middle management, executives, team leaders and technicians. Anyone who want to make personal changes as the first step of change. Is it easy to make people change? People do understand the need to change, but they just don't take action. Why? How can company implement change if people are not convinced? Change is painful, fearful, disruptive and costly. Given a choice, most people rather choose to remain status quo. The biggest problem faced by many organizations is to get their staff to embrace change and not to resist it. Change must come from within and start from individual. The program is mainly based on book "Lessons from the Monkey King" by Arthur F. Carmazzi. It uses Directive Communication psychology to deal with human behaviours of people working in groups and the way people act and react to emotions. It applies psychology strategies to individuals to change from within, take actions and affect those around as well as those around affect the individuals. The content from “Who Moved My Cheese” is also refers. At the end of the session, the program will instil a sense of change readiness and take initiative to become a change agent for your organization. Increase self-awareness on need to change and it can only come from within. 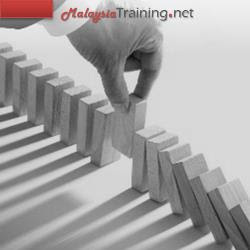 Overcome personal barriers and become a change agent in the process of change. Create positive change in the environment by making small changes in the behaviours. Assess forces of change - external & internal to align strategies of change. Ideal work environment - is it possible to achieve? Video - Who Moved My Cheese? Directive Communication™ is a training and organizational development psychology developed by Arthur F. Carmazzi that affects how people act and react to each other in teams, and how that affects individual performance. It is a foundational science for influencing team dynamics to cultivate high performance cooperative team culture. Application and story based on the Lessons from the Monkey King by Arthur F. Carmazzi. A book on leading change to create gorilla-sized results! Reference is also made from "Who Moved My Cheese" with video shown. Our methodology is based on interactive learning, experiential activities and facilitative training style. We use variety of proprietary training tools, group discussion, team reflective circle, storytelling, lecture with games and activities to make learning FUN and IMPACTFUL!